According to a new study released Sep 8, 2016, by the National Association of Professional Employer Organizations (NAPEO), small businesses that outsource HR services to a PEO (professional employer organization) grow faster, have lower rates of employee turnover, and higher rates of business survival than other comparable small businesses. “A company’s ability to survive and profit increasingly hinges on the degree to which it can manage its employees more effectively than its competitors can manage theirs. Numerous research studies have found that those companies best at managing their people are subsequently more likely to enjoy success in the marketplace and have a greater appreciation in their share price than their competitors. 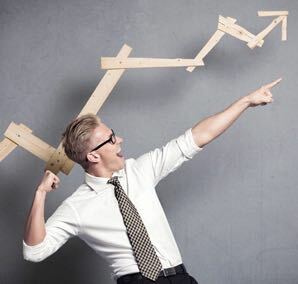 Achieving sustainable competitive advantage through better management of employees is a huge challenge for even the largest and most sophisticated companies, but that challenge is even greater for small business and mid-size organizations. PEOs help their clients tackle this by managing the “people side” of their businesses more effectively, avoiding compliance pitfalls, and creating key benefits for the business and its employees while simultaneously freeing up time for owners and executives to concentrate on growing their businesses by focusing on operations, strategy, and innovation. Most smaller organizations usually have only a “bare bones” HR functionality, which typically focuses on the most basic HR needs. Even these basics can be time-consuming, distracting, and fraught with potential for error. When a small business works with a PEO for HR, the PEO typically take over these key HR responsibilities for their clients, administering employee payroll and benefits, personnel management, workers’ compensation services, and monitoring and managing risk in these areas. In addition, PEOs make available to their clients a broad array of additional employee-related services and hands-on expertise, including the ability to advise on issues such as workplace diversity, employee retention, and up-to-date information on changing employment laws that may affect clients. Each of these other services generates advantages for the business and/or its employees. Specifically, the employee turnover rate for PEO clients is 10 to 14 percentage points lower per year than it is for comparable companies in the U.S. overall: 28 to 32 percent annual employee turnover for companies that used PEOs for at least four quarters, compared to approximately 42 percent for all companies. That’s an average of 23-33% less turnover than comparable companies. In addition, businesses that used PEOs for at least four quarters are approximately 50 percent less likely to permanently go out of business from one year to the next when compared to the overall rate for similar private businesses in the United States. To learn more about how your small business can benefit from partnering with a PEO, please click here.